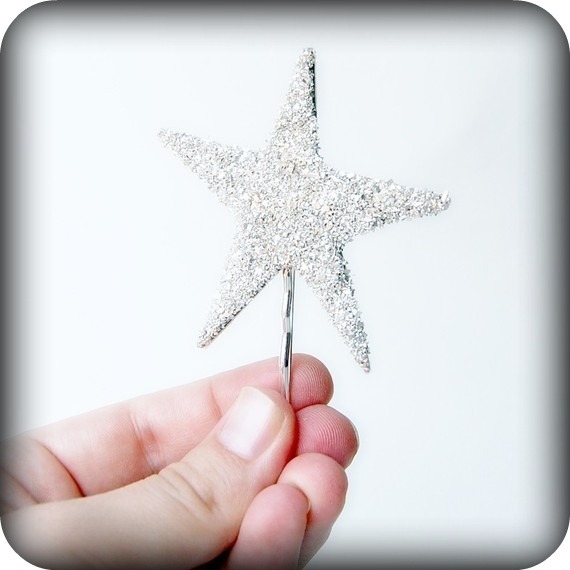 Our final giveaway for 2010 is for a Starlette Sparkler from Giant Dwarf. I plan on wearing mine when we ring in the lucky year 2011 and light sparklers on our deck. I think it will make my 11:11 wishes even more magical. I also think that it will make your wish making more magical too. So, dearest of friends, make sure you are a follower of Fritzi Marie and put your name in Bono Baby's hat. I want you all to enter (even if you have won something from an earlier giveaway). This is a celebration giveaway, for all the wonderful things to come. Oh, and tell me what you loved most about 2010. Bono Baby will pick the winner on Monday December 20th. p.s. Go say hello to the beautiful and talented Sue over at Giant Dwarf. I most loved the feeling I had on the day Graham was baptized. It was just an overwhelming gratitude for my children, my husband and my life. As much as I complain (which I need to work on less of) I have things pretty good!! ooo. you mean I have a chance to be your sassy pants fire truck twin after all?! 2010: I loved seeing one of my best friends wedding. I loved feeling like a professional more than a student at the recent art therapy conference. I loved all the camping and hiking that happened this summer with my hubbasuarus and the pups. 2010 was pretty great, but I have a feeling 2011 will be even better! Sparkly things are my favorite :) 2010 was a hard year, but there were so many good things in it...travels, friends, love. I really am lucky! this giveaway is awesome! im a new follower... i found you through a spoonful of joy (you lucky winner you) :) your blog is too cute. 2010 has been so wonderful! i think the highlights would have to be an awesome valentines day with the boyfriend, my bestie finally moving home in august and i had an amazing birthday in september. Oh, that's pretty. My favorite thing from 2010.. I think maybe my trip to Colorado! I loved passing my comprehensive exams! Whew! I'm your newest follower!! Eh, I feel kind of guilty cause I just won...but...here's my entry...awesome giveaway dearie! What I love most about 2010 is that I started blogging and met all of these amazing new friends! And you are on the very top of my list...that's for sure! oh, so pretty! i'd love to win! you know i'm a follower! Can't wait for the new year, 2011 is going to be amazing! Would love to win your last give away of the year. what i loved most about 2010: connecting deeply with myself as an artist + starting my blog. ohhhh, this is so relevant to the painting I'm working on right now! I would love to be entered in this giveaway. <3. My favorite thing about 2010, I think, is how much I propelled my art career. I think I've worked harder at it than I ever have before. I'm also really thankful for all the amazing people I've met because of this, you being one of them, Kat! 2010 was an amazing year, met many new faces and made life long friends but 2010 has been going out bitterly. the last 3 weeks have been terrible for my family in health and in the loss of a family member. 2011 will be a year a healing. and this star, so amazingly adorable would be the perfect symbol of hope for 2011! here's looking to the sky! Katty! I love the peacoat you are wearing in the last picture of you and bono! SO pretty! My favorite highlights of 2010 were moving into a new apartment with my boyfriend (just us, no roommates!) and applying for graduate school! Awww so pretty :-) Please count me in!! If I win, I'll be wearing for the count down for the new year as well!! Sending lots of love to you, your man, and your BONO BABY for the magical touch. i am so your biggest fan ;) and my favorite love of this past year was def. marrying my best friend!